TRAIN IN EVERY DIRECTION. Sports don't take place in one direction, that's why the Recoil 360's adjustable belt has a unique free motion ring, meaning you can train with resistance at almost any angle. Be prepared for anything, or anyone that comes your way. GO FOR YOUR GOALS. SKLZ is dedicated to helping athletes of all levels reach their goals. Give yourself the tools you need to succeed. 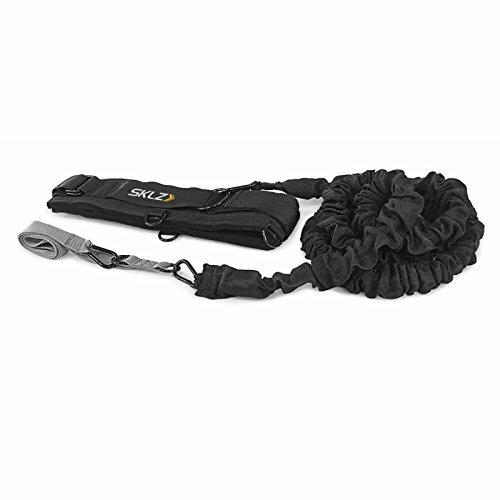 No matter your sport--baseball, soccer, football, basketball, tennis, rugby, lacrosse--the SKLZ Recoil 360 Dynamic Resistance Assistance Trainer will help you improve your overall athleticism with increased power, explosiveness, and strength.